La Volta E liquid. Perfect mix of sweet juicy raspberries and ice cream in United Kingdom. You can now enjoy your vaping desert. 100% VG base. TPD Ready! La Volta E liquid. Perfect mix of sweet juicy raspberries and ice cream. You can now enjoy your vaping desert in United Kingdom. 100% VG base. TPD Ready! 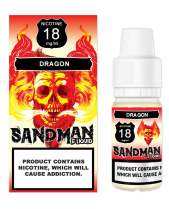 Eliquid Cartel is a leading brand of gourmet eliquid in United Kingdom, offering a variety of flavours in different strengths to suit all tastes. The Eliquid Cartel range includes a variety of fruit, nut, sweet and drink flavours. Our gourmet flavour La Volta E liquid is designed to offer you a top quality vaping experience. 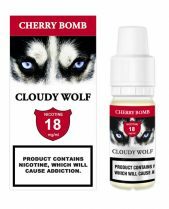 We pride ourselves in supplying only the best eliquids in United Kingdom that are quality assured and manufactured in Europe. La Volta eliquid comes in 0 mg/ml, 1.5 mg/ml, 3 mg/ml and 4.5 mg/ml . 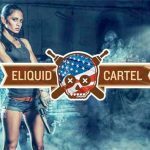 E liquid Cartel is a high VG e liquid suitable for drippers and sub ohm vaping. It will not crystallise on a coil even when vaped at high power and temperature. It is a max VG e liquid composition with 100% VG base.